The life and works of Augustine of Hippo (354-430) have shaped the development of the Christian Church, sparking controversy and influencing the ideas of theologians through subsequent centuries. His words are still frequently quoted in devotions throughout the global Church today. His key themes retain a striking contemporary relevance - what is the place of the Church in the world? What is the relation between nature and grace? 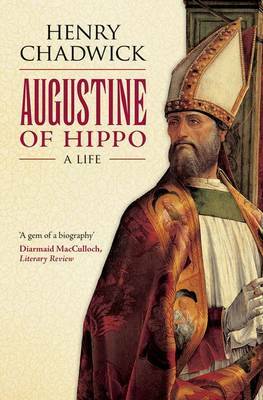 Augustine's intellectual development is recounted with clarity and warmth in this newly rediscovered biography of Augustine, as interpreted by the acclaimed church historian, the late Professor Henry Chadwick. Augustine's intellectual journey from schoolboy and student to Bishop and champion of Western Christendom in a period of intense political upheaval, is narrated in Chadwick's characteristically rigorous yet sympathetic style. With a foreword by Peter Brown reflecting on Chadwick's distinctive approach to Augustine.